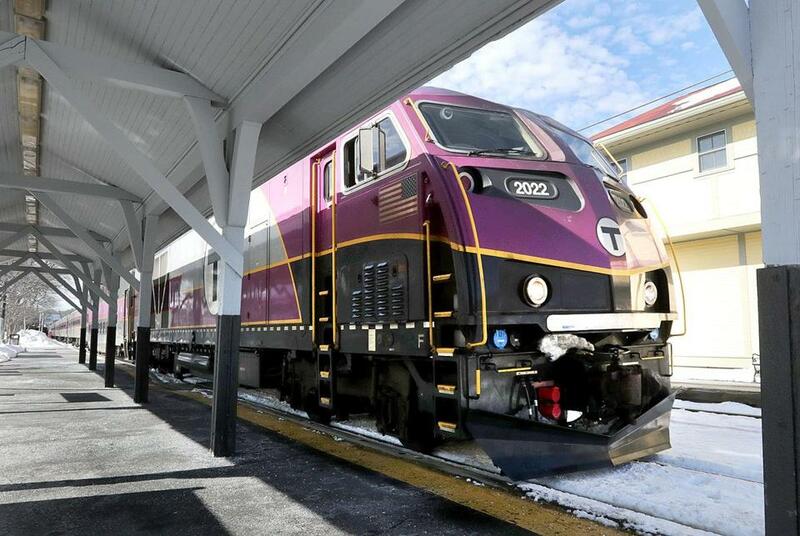 New MBTA commuter rail locomotives have a defect, adding to the agency’s woes. Eight of the MBTA’s 40 newest commuter rail locomotives had a defective engine component that must be replaced across the fleet, the latest in a series of mechanical problems the trains have encountered since they were delivered. Repairing the defect threatens to reduce the number of available trains, officials said on Monday during a meeting of the MBTA’s fiscal and management control board. “We’re focusing on what can be done both short-term and long-term to have a sustainable number of locomotives available for service,” said Jeffrey Gonneville, the MBTA’s chief operating officer. Gonneville is leading a committee that will determine how many locomotives can be made available to avoid cancellations. The revelation came as the agency searched for ways to save money on The Ride, a door-to-door van program for riders with disabilities. At the meeting, nearly a dozen people spoke out against potential service cuts, a few weeks after MBTA officials proposed scaling back trips to “premium” areas beyond a certain distance from existing subway and bus stops. Service to those areas is not required under federal law. Last week, the control board voted to avoid cutting such services, on the condition that the MBTA can present alternative budget cuts. On Monday, officials outlined other cost-saving options to preserve service, such as assigning trips scheduled on the same day to private ride-hailing companies such as Uber and Lyft, or shifting some rides to a transportation service provided by the state Department of Health and Human Services. “Look, it’s not fair to the taxpayers who put a billion dollars into their pocket every year, into the MBTA and into the Ride, and to the riders who put almost a billion dollars out of their pocket, to not be willing to pursue and engage in discussions about ways to continue to deliver the service and find a more effective and efficient way to do it,” he said. The meeting highlighted several problems that have been playing out for weeks at the MBTA. Last week, officials said that Keolis Commuter Services, its commuter rail provider, has had trouble providing enough locomotives and coaches for regular service. On Monday, Keolis and the MBTA said they were taking steps to avoid further shortages. The MBTA purchased 40 locomotives for about $222 million from Idaho-based Motive Power Incorporated, which included engines created by General Electric. But as soon as they were delivered, they were sidelined with a manufacturing problem. The locomotives were put into service between May 2014 and December 2015, but were plagued with defects. MBTA officials say that the newer locomotives run without failures for longer than the older locomotives. But by February 2016, nearly every new locomotive had been delayed because of a range of mechanical failures, operator errors, and other issues. Gonneville said that eight “turbochargers,” parts that help filter clean air into the engine, have failed, and that seven have been replaced. The manufacturer has agreed to replace them on every new locomotive, but officials worry that will put added strain on the already struggling system. Of the 40 new locomotives, only 27 are currently in service, according to the MBTA. Some are out for scheduled preventive maintenance or regular maintenance and repairs, while others have defects that need to be fixed. Motive Power is currently repairing four different defects, including software revisions by General Electric, and replacing battery chargers. Gonneville said “it is not uncommon” to address such issues. David Scorey, the general manager of Keolis, said Monday the company is working to refurbish some of the older locomotives to make sure they can increase the size of its fleet and provide better service.